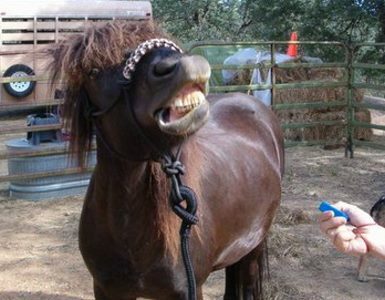 It is very easy to teach a horse to smile. First you'll want to be prepared with your treats and clicker. 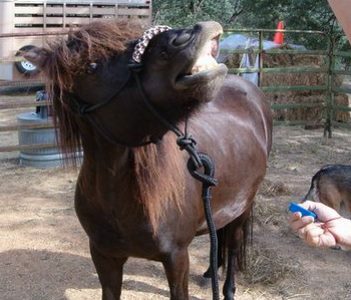 Then tickle the horse's upper lip with your finger. As soon as he moves it just a little, click and treat (C/T). 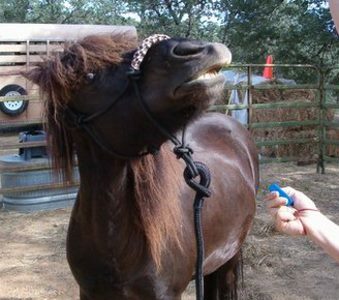 Repeat until the horse gets the hang of twitching his nose when you touch the lip. High rate of reinforcement is good when starting. 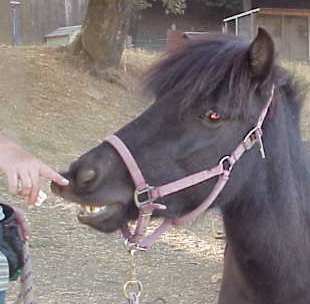 Up your criteria to clicking for him stretching his upper lip / nose to reach your finger before you actually touch him. 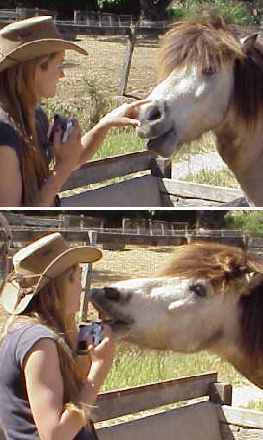 This should shortly progress to him REALLY flipping the lip up, as you hold your finger UP and away from him. All of this playing and teaching tricks is not without worth. In fact, it's very valuable! 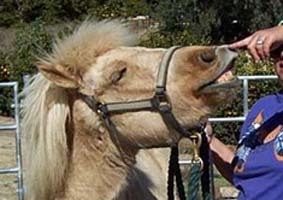 It builds a bond and a relationship with the horse, it relaxes the horse so he's able to learn (and like people! 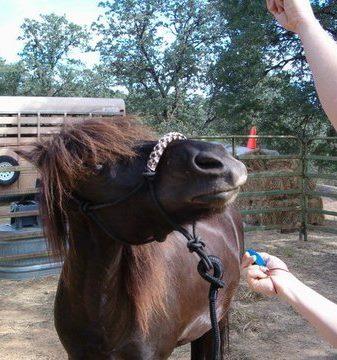 ), and it builds his "brain muscle" which makes him smarter. Who doesn't want a smart horse!